Clarksville Auto Center has been serving Howard County since 1978, providing top quality collision repair work at competitive prices. 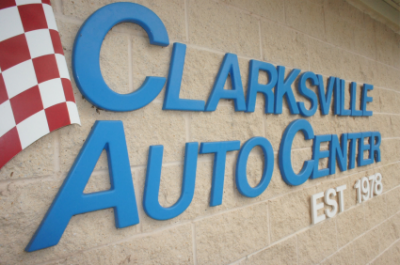 When it's time to have your vehicle repaired, you can trust Clarksville Auto Center’s 32 years of experience. An accident is a traumatic thing. Much of your frustration and anxiety can be reduced if your situation is handled competently by the shop repairing your car. Let us ease the strain of dealing with insurance adjusters and rental car companies. Clarksville Auto Center specializes in automotive paint and paint matching. 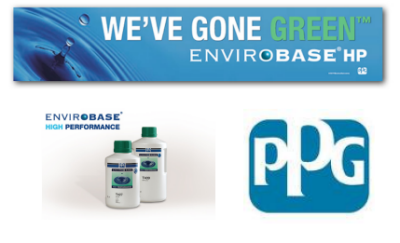 We use PPG Envirobase paint which comes with a limited lifetime guarantee. All paint is matched and mixed on premise by our certified collision and paint specialist. Clarksville Auto Center has 2 ASE Master Technicians with over 50 years of expirience. We now offer factory recommend maintenance & repairs including all aspects of automotive repair. Contact us to schedule your appointment. Your vehicle requires regular maintenance to continue to operate smoothly. Clarksville Auto Center is a NAPA AutoCare Center. We are qualified to perform all types of automotive maintenance. I-CAR develops and delivers technical training programs to professionals in all areas of the collision industry. All I-CAR activities and resources focus on helping the industry achieve a high level of technical training. Clarksville Auto Center is a proudly certified by the National Institute for Automotive Service Excellence (ASE) which works to improve the quality of vehicle repair and service by testing and certifying automotive professionals. Clarksville Auto Center is proud to use Enterprise Rent-A-Car to ensure that while your car is being serviced, you can maintain your lifestyle without interruption. Call us today to make rental car arrangements.